This two-week residency is set up to help like-minded artists from multi-disciplines develop their practice in a relaxed, yet productive environment. The peaceful village of Atina, situated 154km from Rome in the province of Frosinone-Lazio, benefits from natural darkness, natural beauty and is a great spot for viewing the Moon, stars and meteor showers. Staying on site, artists will have the opportunity to create works responding to the variety of astronomical sights found there, to be showcased in exhibitions in Atina and London. Large studio space, observatory trips, telescope access, small local bars/restaurants, film screenings. 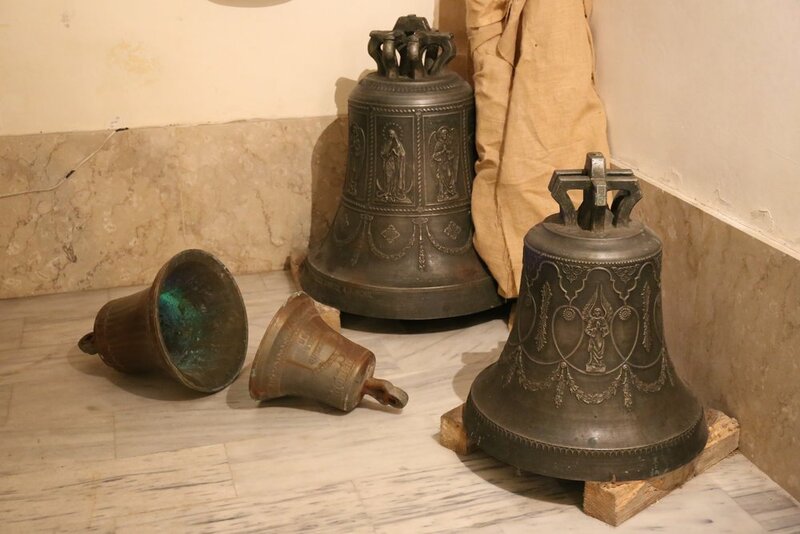 The cathedral bells of Atina are the pulse of this ancient town, guiding it’s residents through daily ritual. At noon, they ring mysteriously thirteen times, in a pattern of three, four, five and one. Composed using recordings from microphones placed inside the Santa Maria Assunta over the course of a week, I have used various techniques and applications to stretch and dissect the harmonic partials contained within the strike note. These harmonics serve as the basis for the choral work, and naturally govern the pitch of the daily 5pm Rosary recited by the Atinan women, which was a privileged experience. The opening sound is my heartbeat recorded in the cathedral in the relative silence between peals. This work was presented in Atina through stereo speakers placed within large, opposing bronze bells.